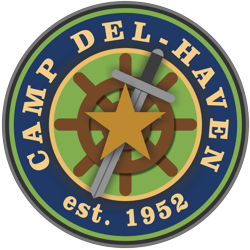 For over 60 years, Camp Del-Haven has had a mission to help kids turn from a lifestyle of crime by offering a summer camp experience focused on the Gospel of the glory of Christ. Currently, most of the children who are invited to the camp come from homes where one or both parents are incarcerated. Del-Haven sends out applications to kids between 6 and 12 throughout Kansas City (and surrounding cities) and offers them a free week of camp. Many children respond to our invitation each year.